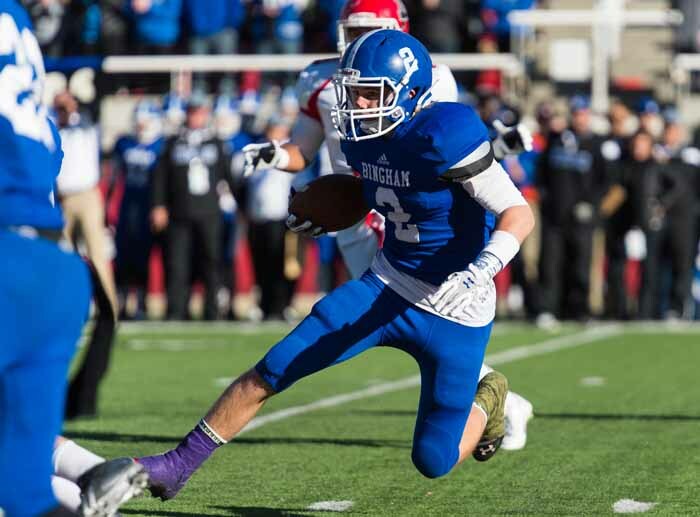 Championships are nothing new to Bingham High’s Kade Cloward. Being a star player on multiple championship squads is a feeling he enjoys. If you wanted to find the best athlete at Bingham during the 2014-2015 school year, chances are you would run into Cloward. That is opinion that does not come from Cloward himself, but from his football coach, Dave Peck, who was surprised at the relatively low level of interest for Cloward at the next level. Cloward is a two-sport star, having been a three-year starter for state title-level teams in football and for two years in baseball. He was part of three championship teams for these sports, including two for football (2013 and 2014) and one for baseball (2013). After losing their second game in this year’s state baseball tournament, the Miners came one win away from adding one more title to Cloward’s resume. As a star for both sports, Cloward has gained great success in his high school career and plans to continue it in his upcoming endeavors. Cloward received numerous awards and recorded incredible stats over three years as a varsity football starter. Known as a very versatile player, Cloward played strong safety, punt returner and kick returner, and sometimes wide receiver. As the head of a stout, defensive-minded team, Cloward proved to be a leader. The all-state defensive back recorded 228 tackles, 10 interceptions, and four recovered fumbles in three years. He was named co-MVP for Region 3 in 2014. These stats and awards didn’t occur simply by luck. “I’ve been playing for quite a while, and I’ve got some good coaches that help me out,” Cloward said. He says he has been playing both sports ever since he was a kid. Natural talent and lots of experience result in a tenacious formula for athletic ability. On the football field, in addition to being an anchor in the defensive backfield, Cloward was Bingham’s go-to receiver for their fake punt play. Whenever the team lined up to punt, which wasn’t very often, there was a chance senior Michael Green would catch a direct snap and hit Cloward on a fly route. His trusted hands had four catches for 74 yards, all while the defense was caught snoozing. Cloward’s baseball career parallels his football career when it comes to success. 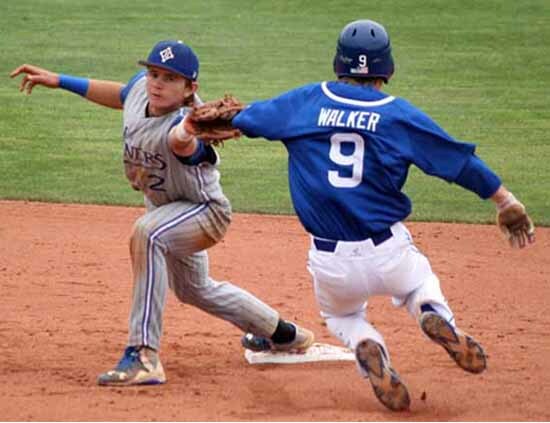 The 5-foot-10 shortstop puts up great numbers on the baseball diamond as well. In two varsity seasons, Cloward played 51 games, batted .401, had 69 hits, 36 RBIs and scored 30 runs. Cloward credits his partcipation in two sports for his results in both. He feels the two sports build on each other to heighten his potential. 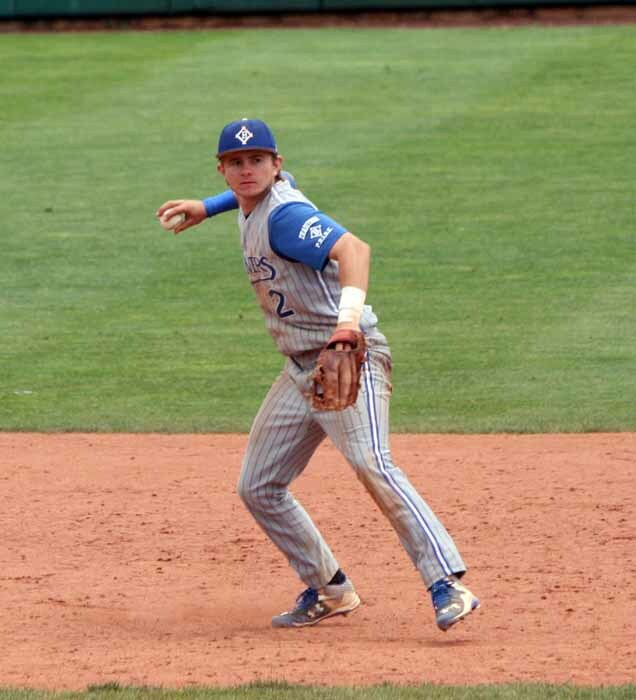 As for the future, Cloward intends to play at the college level and focus on baseball. While he was surprisingly off the radar when it came to offers, he announced recently his plans to lace them up next at Dixie State. 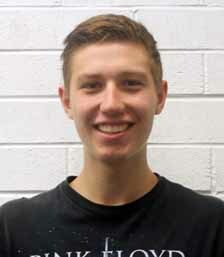 Bingham High student Matt Anderson wrote this story as part of the Preps Utah/Nu Skin student journalism program. Anderson is the co-editor of the Bingham Prospector.